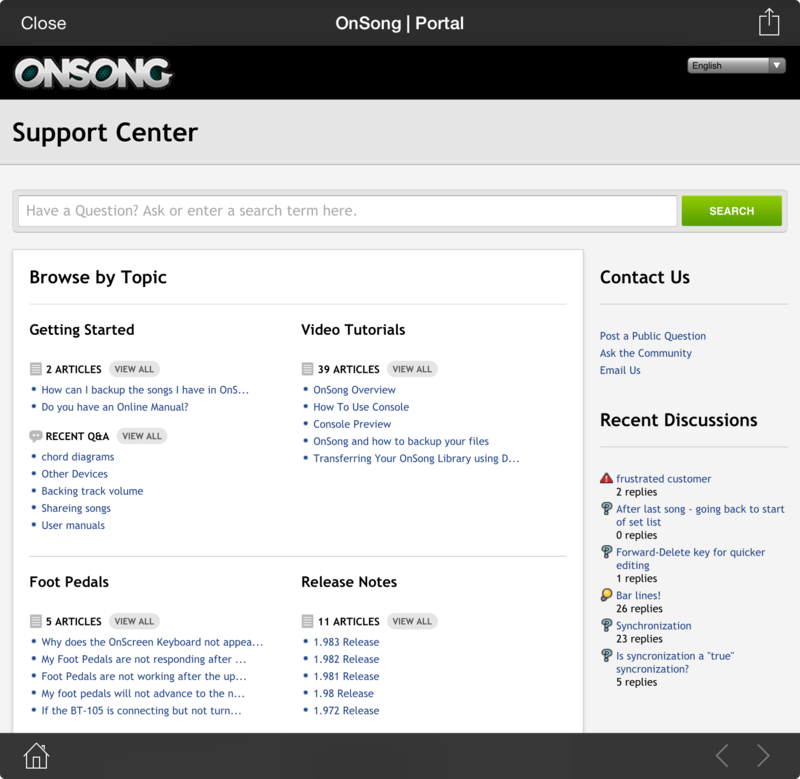 The OnSong support center link opens the OnSong support portal. From here you can search for questions you may have or submit an inquiry or request for help. The OnSong Support Portal is a web site backed by our help desk staff. It is the fastest and most direct to get assistance. Use the action menu icon in the upper right side of the screen to print the current web page, or open the website in Safari for a full screen view and more options.